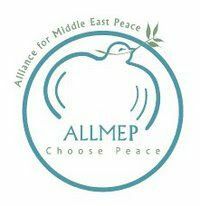 Allmep is an international organization aimed at building a secure and sustainable peace among Israelis and Palestinians. With the help of the first Regional Director, Allmep enjoys an increasing influence and better collaboration among its members in the region. The Alliance is a network of organizations conducting civil society work that promotes conflict transformation, developments, shared society and cooperative activities in the Middle East, among Israelis, Palestinians, Arabs and Jews. Allmep's members seek to build a secure, just and sustainable peace, in which all sides can enjoy the rights and freedom needed for them to reach their human potential and live in peace and dignity with one another. The Alliance works internationally to foster the knowledge among key audiences, including opinion makers, elected representatives, government officials, American and international contributors and the international community, of the critical opportunities and need for people-to-people efforts. In the region, the Alliance works to build a community of members, enhance better communication and serve as a platform for partnership and cooperation. The support was granted for hiring Allmep's first Regional Director, whose role is to foster a sense of community, collaboration and partnerships among the members.